Providing a fantastic opportunity to shop for clubs, clothing, shoes and general accessories specifically designed for Lady Golfers. A golf store that CARES and CATERS for ladies. Lady Golf provides a unique experience for today’s discerning lady golfer. Providing a fantastic opportunity to shop for clubs, clothing, shoes and general accessories specifically designed for lady golfers. So there’s no need to look any further you have clicked the right button…. we have all your answers! Lady Golf has a wide selection of irons, drivers, fairway woods, rescue clubs and putters at your disposal. All available to try before you buy with expert help from our own PGA Professionals. We stock the major manufacturers such as Ping, Callaway, Yonex, TaylorMade, and Cobra. We know how important shoes are, not just for comfort but for style around the clubhouse. With shoes from Ecco, Footjoy, and Callaway, Lady Golf offers the three c’s: Classic Cool Comfort’. Available in narrow, medium and wide fittings. Skechers will be making their debut in the ladies shop for 2018. 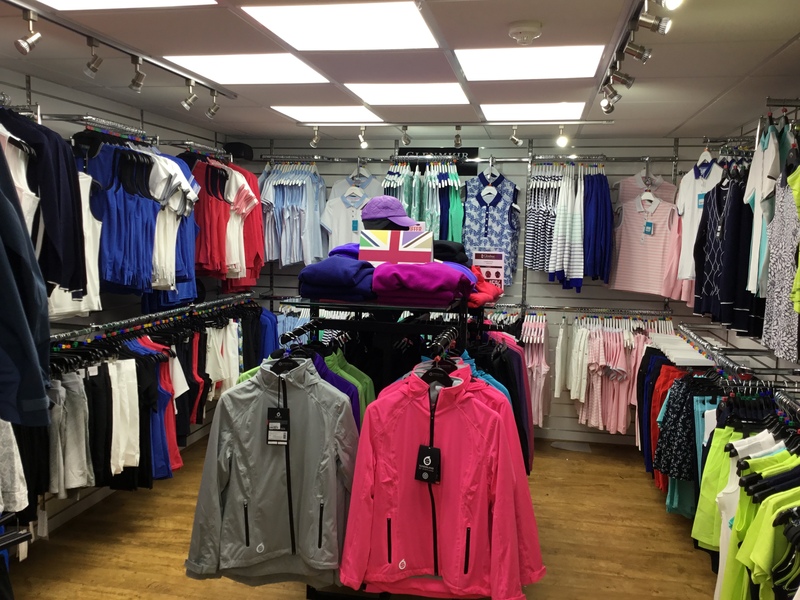 Lady Golf holds an extensive stock of clothing from, Green Lamb, Glenmuir, Daily Sports, Abacus, JRB and Under Armour with waterproofs from Galvin Green, Sunderland and Pro Quip. Sizes from 8 up to 18 in a range of colours and materials from lycra stretch and classic cottons. It’s important to accessorise! Socks, gloves, hats, bags, balls, holdalls all to match your outfit. This makes Lady Golf the place to be. It’s the little things that count!!! 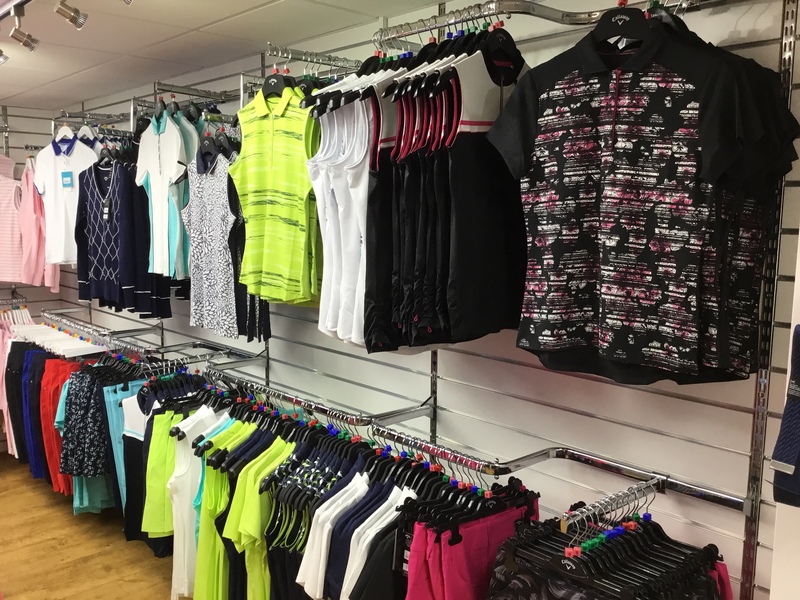 There are now two great ways to shop at lady golf, you can either come down to the shop at West Malling Golf Club or you can shop on-line.